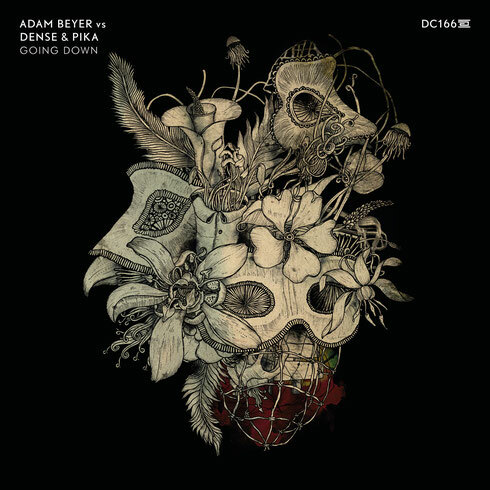 Adam Beyer drops his first EP of 2016, teaming up with Dense & Pika to birth the collaborative work ‘Going Down’. Over a 20-year period, Drumcode has grown to become an influential force in techno, but at the core of this success, is always the personal aspect for label boss Adam Beyer. The connections he apparently forms as a result of music – whether with fans or his family of artists who release on the label – are his lifeblood and give him the most pleasure. One such relationship that’s blossomed since they first released on Drumcode in 2015, is with Dense & Pika (AKA Alex Jones and Chris Spero). Sharing both a similar work-flow and a dry sense of humour, the connection rings true on their first collaborative EP that took shape after Beyer spent two days bunkered down in the Brit’s studio after Junction 2 in June. Highlighting sets everywhere from Awakenings during ADE to Spazio 900 in Rome, the tracks are hard-hitting studies in industrial-edged techno. ‘Going Down’ is built around a deep menacing vocal, as subterranean bass drums, thundering kicks and a sinister synth line combine for a high impact finish. ‘Future’ is a chunky stomper for the winter warehouse party season, as multi-layered synths and effects rub shoulders with heavy-set drums as it aims to hit its target.